Michele Bernardini was born in Chiaravalle (AN), on 25th April, 1989. In 2012, he received the B.Sc. degree in Biomedical Engineering from Polytechnic University of Marche with a thesis entitled "Ischemia miocardica acuta: dall' attivazione elettrica del cuore al segnale ECG" (supervisor Prof. Laura Burattini). In 2016, he received the M.Sc. degree in Electronic Engineering from Polytechnic University of Marche with a thesis entitled “Development of an automatic procedure to mechanically characterize soft tissue materials using visual sensors” in collaboration with Université Libre de Bruxelles (supervisors: Prof. Bernardo Innocenti, Prof. Emanuele Frontoni). 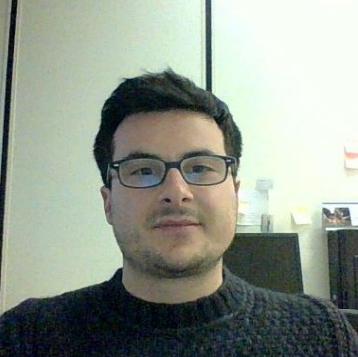 Since November 2017 he is in the PhD School at Polytechnic University of Marche, under the supervision of Prof. Emanuele Frontoni.